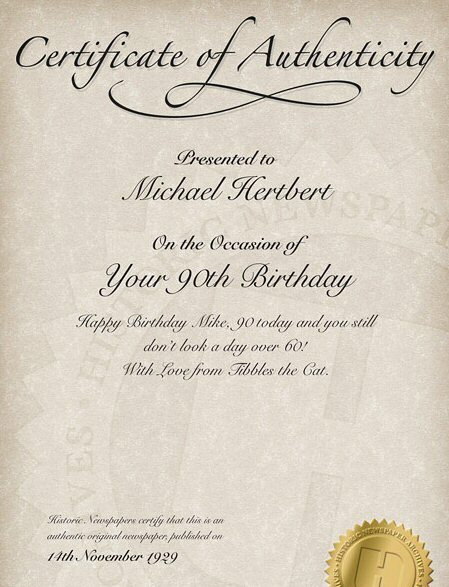 Original issue of a newspaper bearing the same date as someones birthday, anniversary or other memorable event. We do mean original, not reproduction. 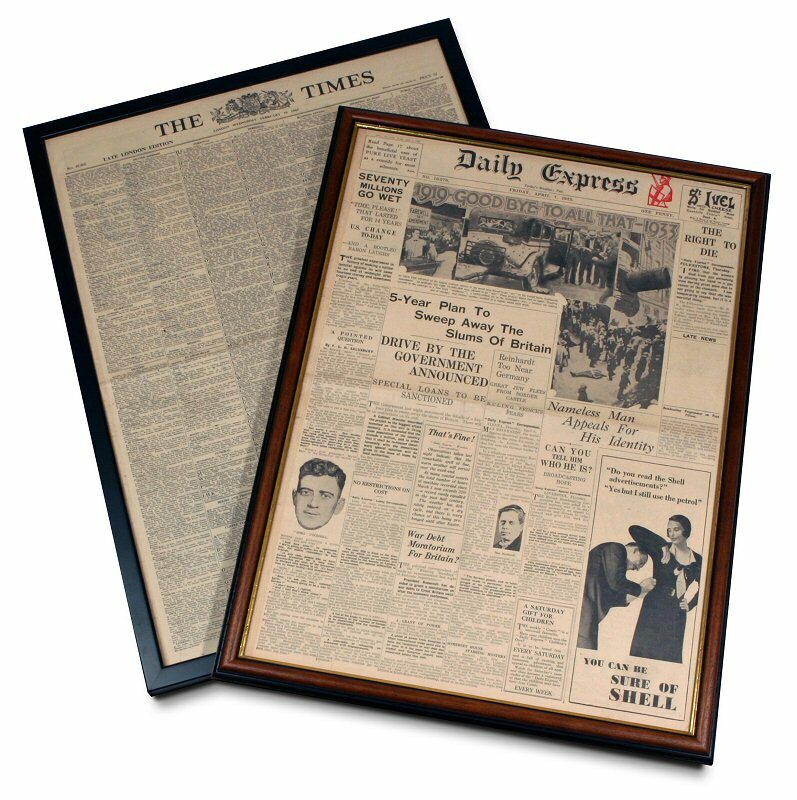 Each newspaper arrives in a hand-finished picture frame, which has been especially made-to-measure to fit your historic newspaper. Choose between a stylish contemporary Black frame and a Dark oak frame – both frame widths are 2cm. The frames are designed so that your newspaper can be removed for reading, and re-inserted. While we cannot guarantee that your paper will be a specific name (eg The Times), we can ensure that you receive a British national daily broadsheet (ie similar large format) newspaper. The only exception to this is if you choose one of the small number of dates that mark an important historical moment in history (eg First Man on the Moon), as these versions have a uniquely-high collectable value. When you submit your date below, we make an automatic online check of availability, and make approriate suggestions. Note: SUNDAY newspapers incur an addtional charge of £20. 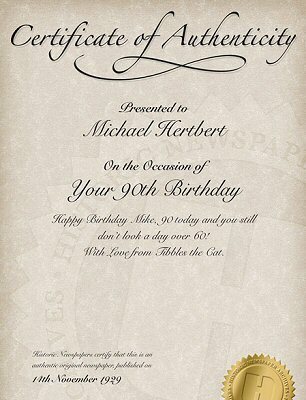 Frame designed so that your newspaper can be removed for reading, and re-inserted. Choose between a stylish contemporary Black frame and a Traditional dark oak frame – both frame widths are 2cm. The frames are designed so that your newspaper can be removed for reading, and re-inserted. Frames are made to order, so please allow an extra two days for delivery.